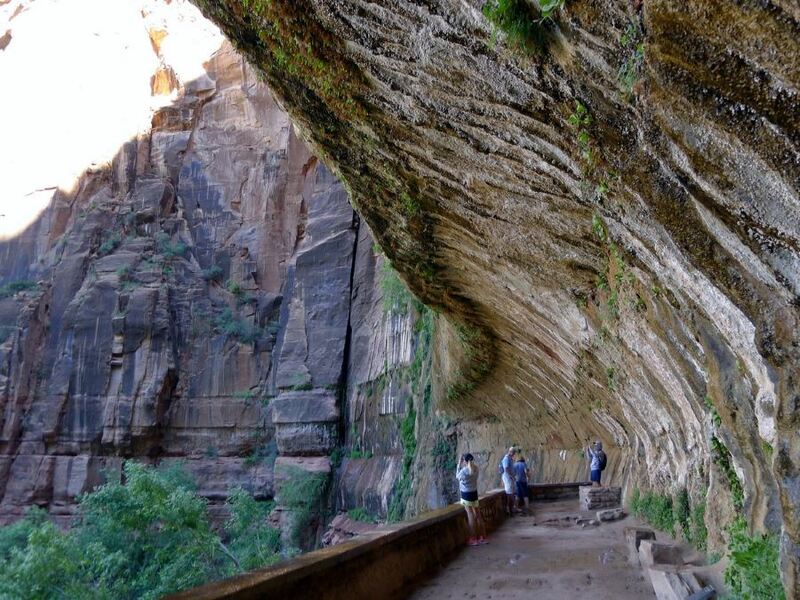 For more than 8,000 years, humans have called the area surrounding Zion National Park home. Today, it attracts nearly 4 million visitors annually and continues to be one of the country’s most unique natural environments – home to a huge variety of unusual plants and animals throughout the four separate life zones: desert, riparian, woodland, and coniferous forest. Once inside you’ll find spectacular geography, including mountains (the tallest standing 8,726 ft. (2,660 m) high), canyons as deep as 3,666 ft. (1,117 m), monoliths, rivers, natural arches and much more. The star of the show, however, is the Zion Canyon. Stretching 229 square miles (590 square kilometers) this canyon cuts a strip 15 miles (24 km) long and up to a half mile (800 m) deep into the crimson Navajo Sandstone. 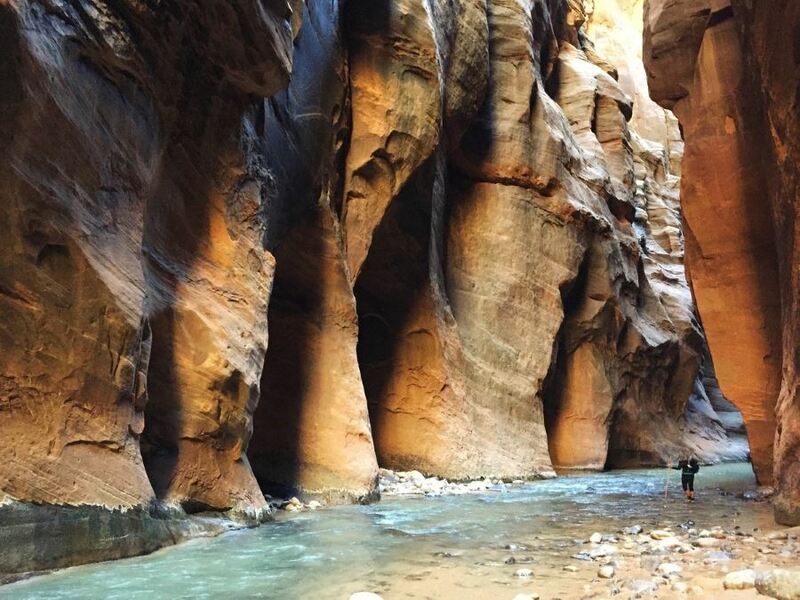 With such a varied landscape that boasts vast open spaces, stunning slot canyons, high elevations and an expansive river valley, Zion National Park will stun even the most seasoned traveler. 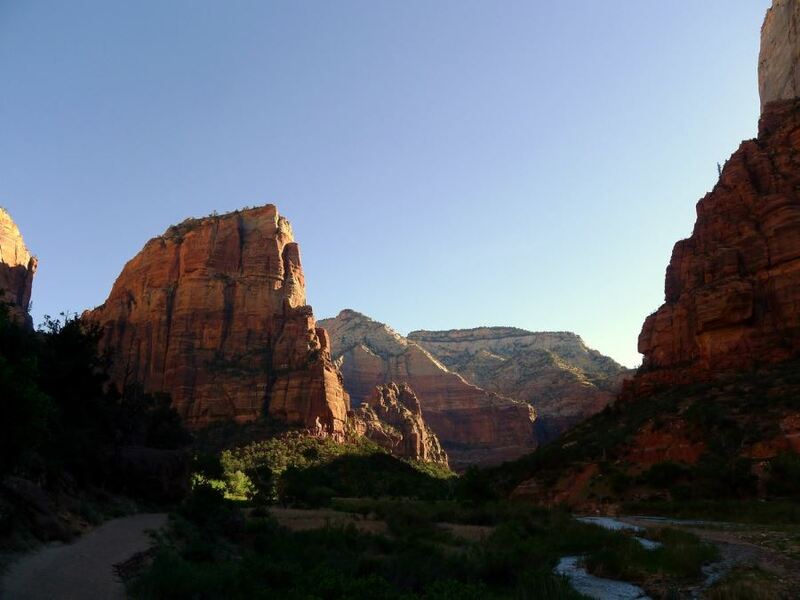 Zion is located in the southern corner of Utah bordering the city of Springdale. This makes it very convenient to not only access the park, but also find a wide variety of accommodation options within walking distance to the entrance. 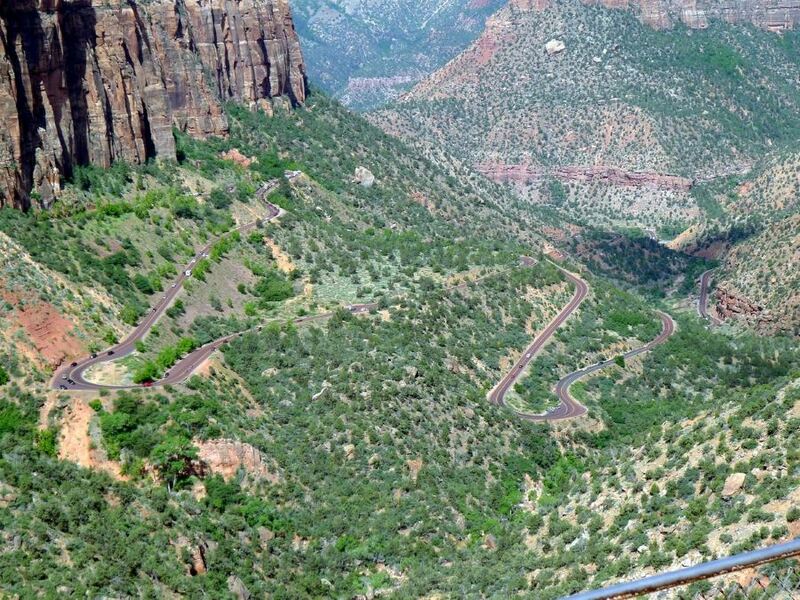 The main road to get to Zion is from State Route 9, which connects to Interstate 15 for visitors from both Las Vegas (to the south) and Salt Lake City (to the north). 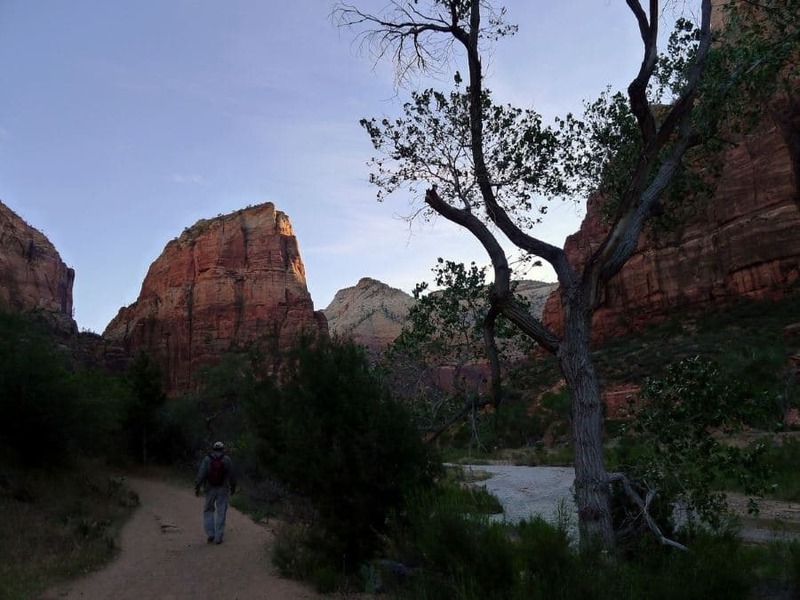 Here we’ll take you through the basic overview of hiking in Zion National Park – including how to get there, where to stay, where to eat, what to see and what to watch out for. Zion National Park is most accessible from either Las Vegas McCarran International Airport, located roughly 170 miles (275 km) away or Salt Lake City International Airport roughly 300 miles (480 km) away.  There are also two regional airports: Saint George Regional Airport, about 49 miles (80 km) away and Cedar City Regional Airport roughly 60 miles (97 km) away. From there, you can rent a private vehicle to drive to the park or hire a shuttle such as the Saint George Shuttle to drive you to Zion. 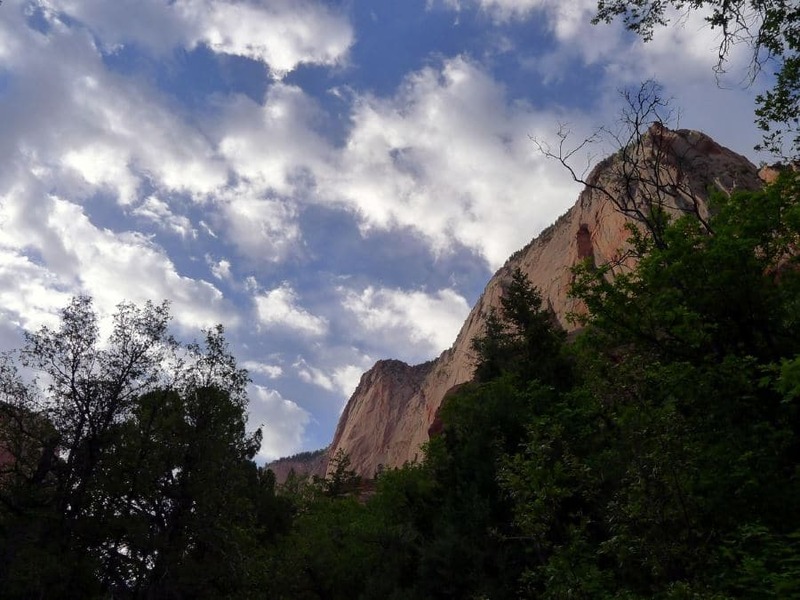 Zion National Park experiences all four seasons, however winters are relatively mild (more chilly and wet) and little snow tend to fall on the canyon. The best time to visit is during the spring and fall, when temperatures range from average lows in the 40s F (single digits C) to highs in the 80s F (upper 20s to low 30s C). 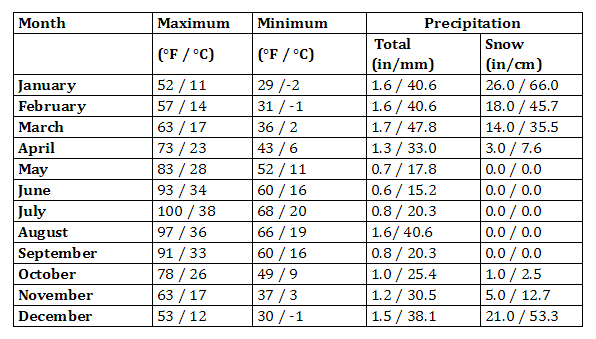 Keep in mind that during these seasons, weather conditions can vary greatly, with spring tending to be wetter at times and fall more dry and cool. During summer, average temperatures can hover above 100 F (38 C) and thus hiking may not only be unpleasant, but even unsafe during mid day. If you do visit in summer, however, we recommend hiking in the early mornings, especially because afternoon thunderstorms are frequent during July and August. To avoid the crowds, the best times to visit are again the spring and fall. During the summer, there tends to be the most visitors, especially because kids are out of school for the season. Accommodation prices also tend to be the highest during this time. To combat limited parking and reduce the environmental impacts of road traffic, the park introduced a shuttle system that runs from March to November each year. Free shuttles leave the visitor’s centers roughly every 15 min from 7 am to 6:45 pm every day. For more information about the shuttle system, click here. The Zion Lodge is only hotel-style option open inside the park itself. Located roughly halfway up the canyon and open throughout the year, they offer a variety of options including suites, motel rooms and cabins. The lodge was originally built in the 1920s, and today features an authentic rustic design. But as the only lodging in the park – it fills up very quickly! Make sure to make your reservations far in advance. 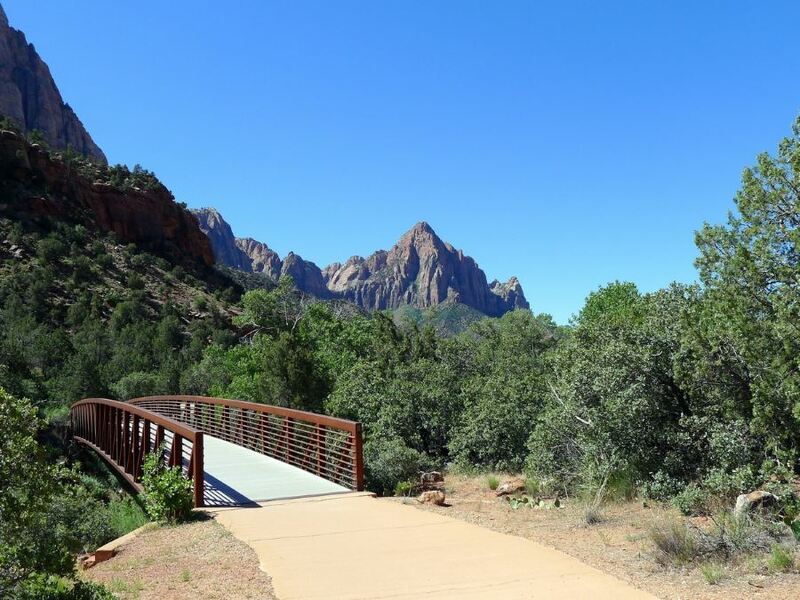 Zion also features three campgrounds: South and Watchman Campground in Zion Canyon and Lava Point Campground on the Kolob Terrace Road. Reservations are possible, but getting there early will give you the best chance of securing a place to sleep if you didn’t manage to plan ahead. Outside of the park, you’ll also find a variety of lodging options, especially budget chain motels, small bed and breakfasts and a few historic homes. 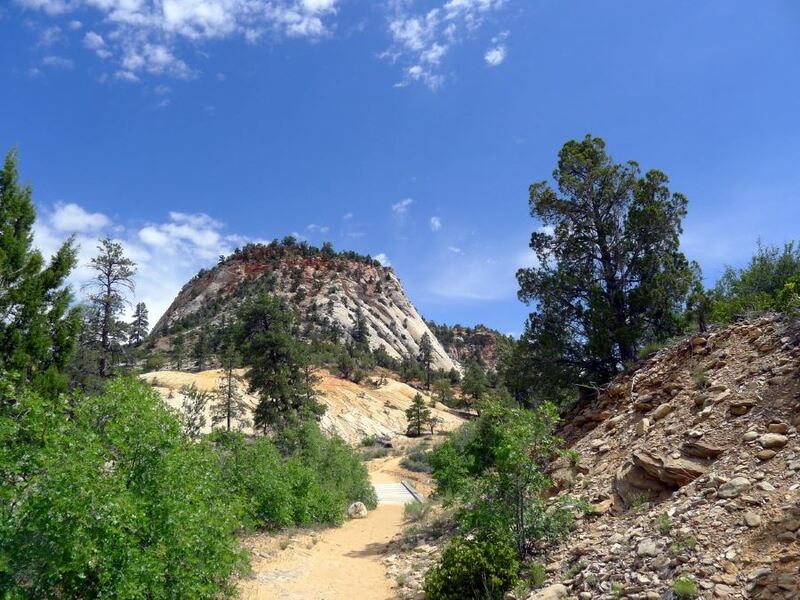 Right on the border of the park, you’ll find the Zion Ponderosa Ranch Resort. Stretching 4,000 acres just minutes from the eastern entrance, you’ll find a huge variety of lodging options and activities – from tents and RV parks to cabins, suites and luxury vacation rental homes. They also offer adventures such as ATVs, zip lining, canyoneering, a two-tiered outdoor pool and much more. Within the park, eating options are available solely at the Zion Lodge. The Red Rock Grill is open all year long for breakfast, lunch and dinner. They feature beautiful views of the canyon and varied menu to suit all tastes. The more casual Castle Dome Café is located just next to the lodge and has a large patio to accommodate up to 100 guests. They serve a variety of snack-bar type foods as well as craft beers, coffee and more. If you’re looking to pick up food for a picnic, there are no stores located within the park. Just outside the south entrance, however, in the town of Springdale, you’ll find shops, bakeries and delis. 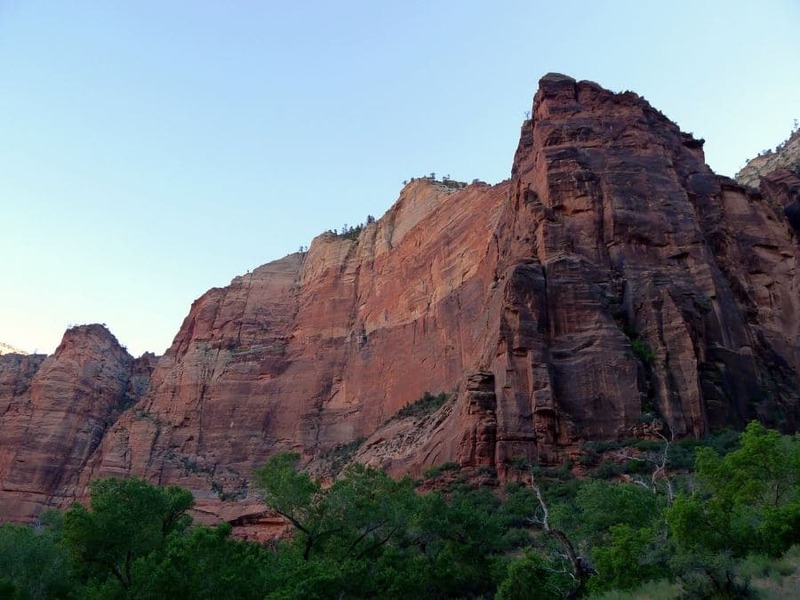 Featuring spectacular canyons, 2,000 foot sandstone cliffs and two large boulders, canyoneering and climbing are two very popular activities in Zion. Many of the routes are difficult to manage and thus not suitable for inexperienced climbers. You must obtain a permit for both activities and make sure to stay up to date on route closures. It’s also possible to join a guided tour or obtain equipment with companies such as Zion Rock Guides, Zion Adventure Company and Zion Guru. To stay firmly on the ground, check out another popular way to explore the park – on horseback. Access is available with guided tours from Canyon Rides. Or you may way to take a swifter route – the river! Watercraft use on the Virgin River requires a wilderness permit, but is a great way to see the park while staying cool. Zion National Park also boasts more than 200 species of birds. Spectacular species such as the Peregrine falcon, the California condor, the Mexican spotted owl, and the bald eagle are all found within the park’s boundaries. For more information on bird spotting in Zion, click here. For a taste of history, check out the Zion Human History Museum located roughly a half-mile north of the park’s South Entrance. 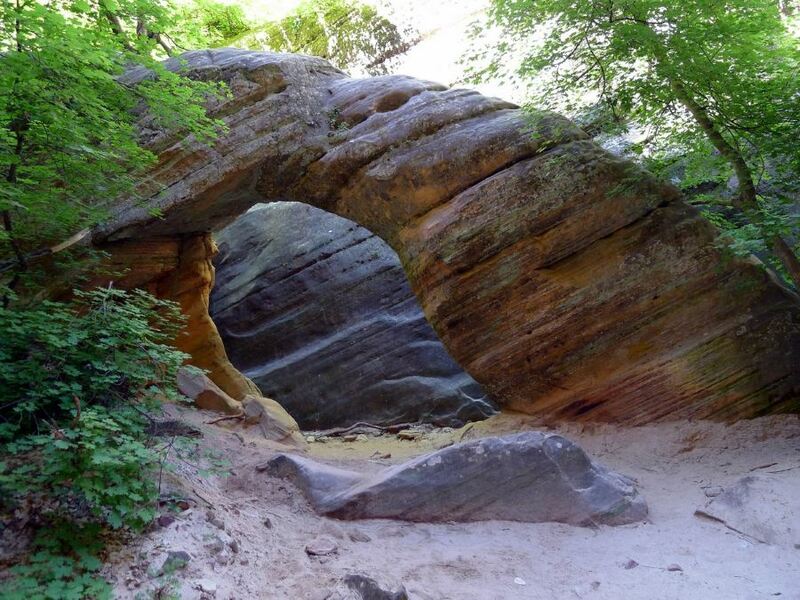 Here you can learn more about the previous inhabitants of the area including Native Americans and pioneers as well as the effects of water on Zion. Flash flooding can occur at any time of the year, though it is most common in July, August and September, especially in the narrow canyon areas. Summer heat regularly reaches above 100 F (38 C) – avoid heat-related illnesses by drinking plenty of water, wearing sunscreen and protective clothing, don’t hike in the middle of the day and eat well before a hike. Wildlife such as mountain lions or poisonous snakes can be potentially dangerous. Never approach, touch or feed animals. Loose pebbles or stones are present on trails and steep cliffs have resulted in the deaths of hikers before. Always stay on trails and observe posted warnings. Water must be boiled before drinking. Cell phone coverage may be unavailable while hiking, have a backup way to communicate. The cost to enter Zion National Park is $30 per week for private car/truck and $25 per week for a motorcycle, and $15 per week for pedestrians.